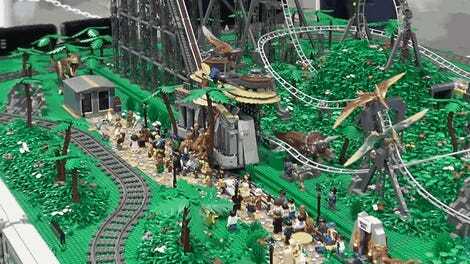 As popcorn movies go, there’s not much to complain about with Steven Spielberg’s massive 1993 blockbuster, Jurassic Park—except when it came to all the crappy dino merchandise that flooded stores. 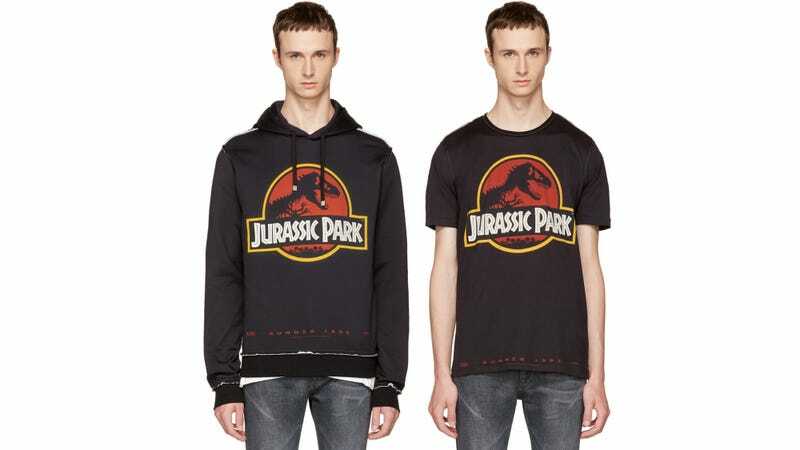 But none of it was as questionable as these obscenely expensive Jurassic Park hoodies and tees Dolce & Gabbana is now selling. We get that you’re going to pay a premium for clothing bearing a fashionable brand name, and that D&G (hopefully) uses higher quality fabrics than say, Fruit of the Loom. But aside from some visible red stitching along the seams, there’s not much else to distinguish this $675 hoodie and $425 tee from the Jurassic Park merchandise Universal Studios still sells. 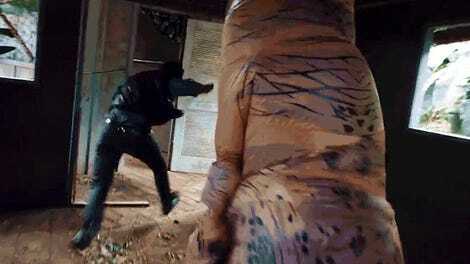 Can you believe Jurassic Park is almost 25 years old?